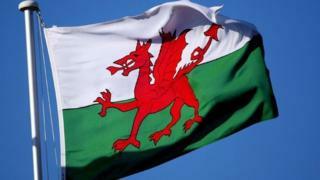 There have been weaknesses in the approach to selling Wales to the world, the Welsh Government has admitted. Eluned Morgan said her newly-created international relations minister role would attempt to address failings. She will work with experts to develop a new international strategy. AMs said in a report published on Thursday that Wales had been "far less successful" than other similar-sized countries in working with Welsh people overseas to promote the country. The External Affairs Committee's report, "Wales' future relationship with Europe and the world", called for better engagement with the Welsh diaspora and expats. The committee report criticised the Welsh Government's previous work on international promotion as "patchy and incoherent" and said Brexit made the need for a new strategy "all the more urgent". The Welsh Government's current international strategy, "Wales and the World", was published in 2015. "We want to give a clear message: we are not turning our backs on the rest of the world. We are open for business and we are open for cultural exchanges," Ms Morgan said. "We are really increasing our activity in this space because we need to, because of the potentially negative message that people around the world may have seen as a consequence of the Brexit debate. "There's so much good to say about Wales, we have such a good message to sell. "I'm very anxious to make sure we increase our export activity in particular, but also make sure people understand that we are a proud nation, a culturally rich nation, we have great food and drink, we have high tech companies." Questions have been raised over the success of the Welsh Government's 21 international offices in 12 different countries, including the United States, China, India and Germany, in helping Welsh exporters with investment decisions and attract inward investment. The Federation of Small Businesses has previously been critical of the effectiveness of the international offices, citing figures that suggested exports to countries where offices were located actually fell between 2013 and 2016. The government said, at the time, the statistics may not present an accurate picture. AMs on the External Affairs Committee said people giving evidence to their inquiry had also highlighted the overseas offices as an area of mixed success. They called on the Welsh Government to commission an independent analysis of the work conducted by those international offices.